For whom is a hair tattoo recommended? For who is a hair tattoo not recommended? For those who are totally bald hair at the forehead area or at their scalp, totally bald at their temple, but next to it the other hairs are long. In this case its not possible to reach a good and sensible result. In order to have a natural effect, you have to wear your hair short. If you only need thickening, but we are not talking about a fully bald area, then the problem can be solved with a hair tattoo. How much does the hair tattoo cost? The hair tattoos price depends on the size of the area that you want to tattoo and on the chosen method. Tricho-pigmentation prices: from 200 € The tattoo for the whole scalp costs 1.000-1.200 €. Please send us a picture about your head to info@prohaarklinik.at, or through the following contact form, so that we can give you an exact price quote. To ask for an appointment for a personal guidance or for a procedure, please contact us from Monday till Friday between 8:30 and 16:30 at: +436476831426, or write us an email, or use our contact form. Is there a discount for taooing a larger area? Please contact us by email at the phaeyde@gmail.com address, or by phone at +36-30/207-4588, or through our contact form, so that we can agree about this during a personal discussion. What tests are necessary during the hair tattoo? Before the hair tattoo, the experienced PHAEYDE Clinic doctor will analyze you, and after the procedure you will have to come back for a control. All of our Prohaarklinik colleagues are happy to answer your questions about hair tattoos. Is a hair tattoo advised after Chemotherapy? Yes, for men this is a basic thing. Women usually make up for their lost hair with a wig. Do I have to cut my hair before the hair tattoo? If you would like to do the hair tattoo, because you want to make your hair look thicker, then no, you dont have to cut your hair. If you would like to wear your hair short in the future, then please cut it and come to the procedure with the hair that you want to wear later. Is it possible to tattoo stubble or an ear lock? Of course it is possible to tattoo the hair on the face also, but the results are not always satisfying. 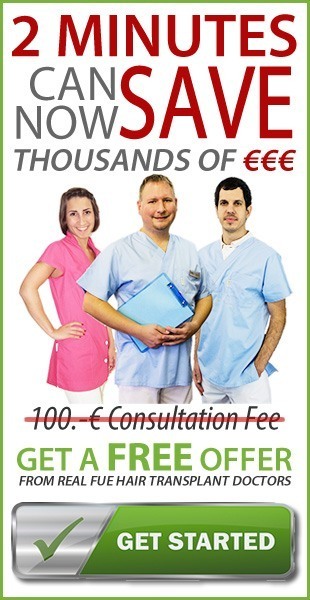 During a personal consultation, after a medical examination, we can tell you more about this. How can we arrange a consultation appointment? Please contact us on the phone from Monday till Friday between 8:00 and 20:00 at +36-30/207-4588 number or write us an email to info@prohaarklinik.at or contact us trough our contact blank. The pain is really low. We only work on the epidermis area, that is the upper layer part of the scalp, thanks to this the treatment is painless Based on experience, we can say that the customers in their 50s could hardly feel the procedure, while people in their 20s were much more sensitive. The younger people felt like their scalp was pricked by the tip of a pen. Is anesthesia necessary before the procedure? Anesthesia is not necessary at all. To make the procedure the most pleasing, we put a 2% Lidocain gel on the patients scalp, that is an appropriate anesthetization before the hair tattoo. Thanks to that the pain is really low. How many hairs will be tattooed? As much as necesssary, even the whole scalp could be tattooed. How big can the surface be? It can be any size, its not even a problem to tattoo the whole head. What colors are there for the tattoo? Right now we have 64 colors that we can use during the hair tattoo. With these colors we can create more combinations and shades , everything that is needed to get the proper micro pigmentation. We separate two different methods from each other: - DOT technique: hair follicle looking micro sized dots tattooed. This technique is for those customers who want to wear their hair longer than a mm. -Fiber technique: small hair tattooed between normal and longer hair. This method is the best for people who like to wear their hair longer than 2-4 mm.In order to get a totally natural result, we can even use both techniques together during one treatment. Usually there are two treatments needed, and between them there has to be a week. The first treatment is the basic one, which gives the hair pigmentation and the hair thickness a basis. Then, during the second treatment, we perfect the work, where the aim is to create a natural and aesthetic design. During the two treatments it takes app. 4 hours to tattoo a whole scalp, while the whole hair is going to be thicker. If you only need to tattoo a smaller area, the time of the treatment will of course decrease, but there is still going to be two treatments needed. During two treatments it takes app. 4 hours to tattoo a whole scalp, while the whole hair is going to be thicker. If you only need to tattoo a smaller area, the time of the treatment will of course decrease, but there is still going to be two treatments needed. Is the result going to be natural? Yes. The treatment is two staged: during the first treatment we tattoo a basis, than the second treatment is a softening treatment, to create a natural and aesthetic design. In order to get the best results, we advise the following hair length for the hair tattoo: -Hair length from 5 cm: there is going to be tattooed small hairs one-by-one between the other hair to increase the thickness of the hair. -Hair length until 1-3 mm: small pigment dots will be tattooed between the short hair and on the fully bald area. The pigmentation next to the hair will be successful if it looks natural. In this case the hair length wont be longer than 5 mm. Tricho-pigmentation is done by experienced professional doctors at Prohaarklinik, so that we can reach the best results. Be happy with your aesthetic effect and totally natural-looking hair. Our patients are really satisfied with the procedures result. Make sure yourself about our perfect results and take a look at our `Hair tattoo before-after` page with the photos of our patients, who chose PHAEYDE Clinic for their scalp pigmentation. What do you have to look out for after the procedure? Is an ex-post control necessary? During the pigmentation can a scar or wound be made? Deposit of scar-tissue is not common. During the treatment there is no bleeding, so scars wont be made either. Usually we can say that no sores are forming. In some cases a little scar could happen, but this is really unusual. The tattooed hairs color will stay for 2-4 years, after that it will start to fade. The lasting of the color depends on the type of the scalp and how much time the person spends on the sun. If a lot of sun reaches the scalp, the color of the tattoo will start to fade earlier. How much time does the healing take after the hair tattoo? There is no scar or wound visible. You have to be away from dirty, dusty places and hard physical work for 72 hours. The surface could swell a little. The swelling is just as big as it would be in case of a `normal` tattoo. Can I wear a hat after the hair tattoo? In the first 48 hours you cant wear a hat, but after that any time you can, or any other headwear.